Car 2 finished the day at 1st in the Under 10-litre Class and 9th in accumulated overall rankings. Wednesday, Jan 16: Contestants raced a 313 km loop course in one of the region's deserts, starting off and ending in Pisco. While Thursday, Jan 17, the final day, will feature a 112 km SS (Special Stage), today was essentially the last day of serious competition. 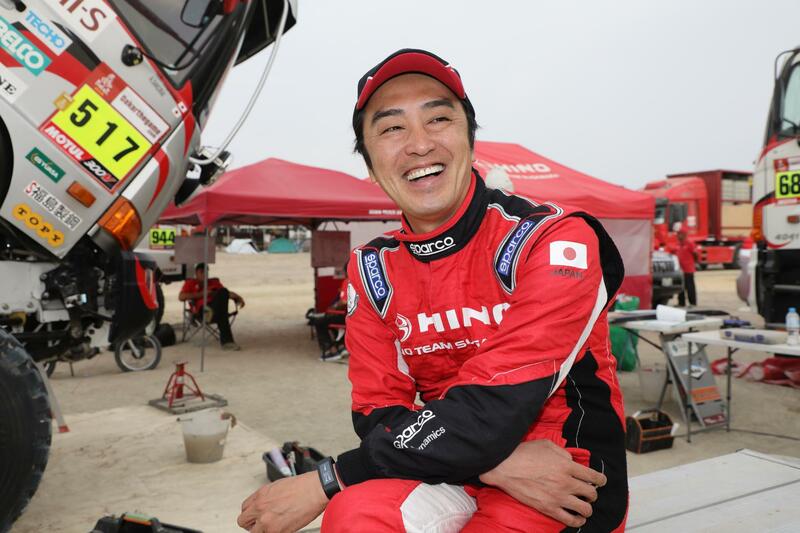 As such, the day turned out to be the final trial for HINO TEAM SUGAWARA's HINO500 Series truck, which the team is aiming to bring to a finish near the top position in the trucks category. Most of day's terrain continued on with the sand and fesh-fesh (sedimentation of extremely soft and powdery soil) theme which is notoriously difficult to drive on. 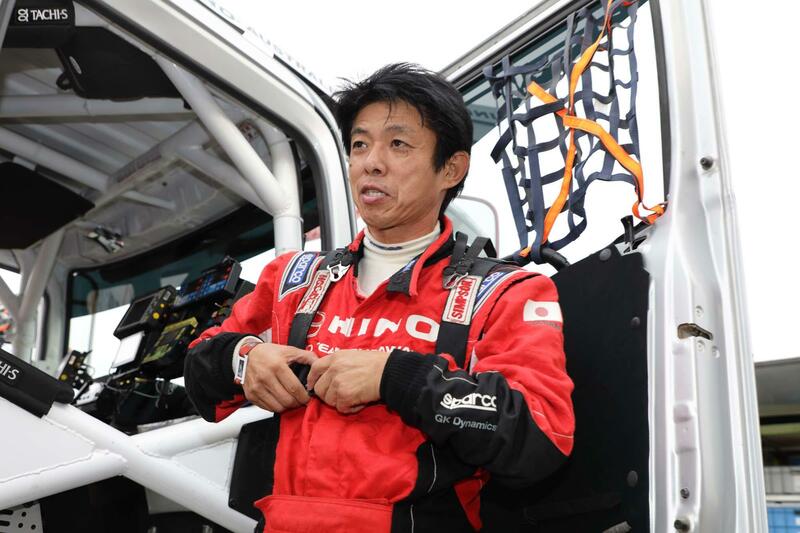 In terms of navigation, the way point (a GPS point that racers are required to pass) configurations were quite tricky, forcing the Teruhito Sugawara and Katsumi Hamura duo on their HINO500 Series truck Car 2 to stay extra alert as they drove at a quick pace. 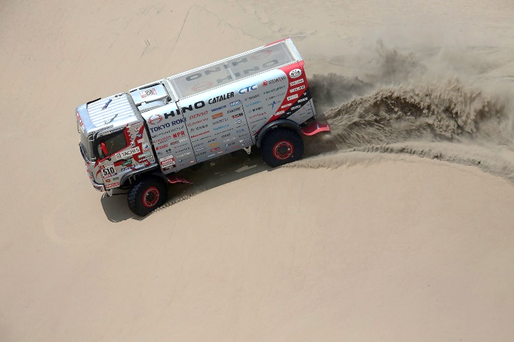 While the crew lost some time on a number of occasions hunting for way points that were difficult to find, the truck finished at 10th place overall, for a cumulative overall ranking at 9th place. 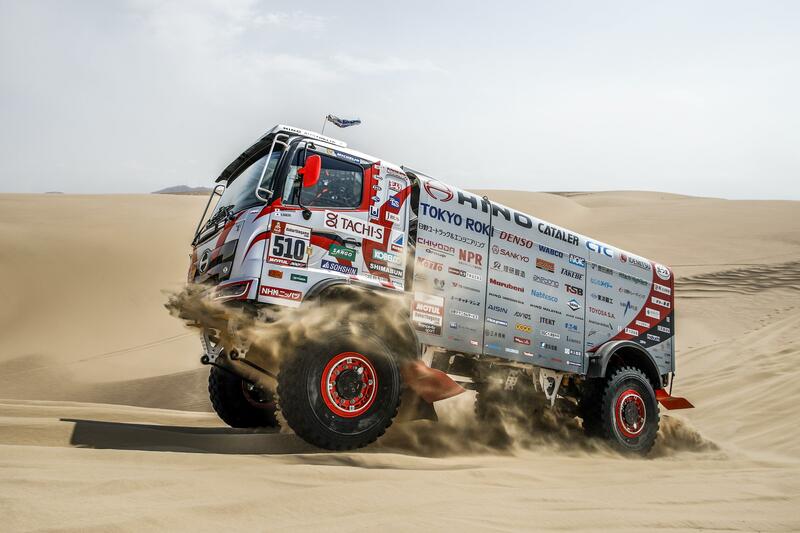 Meanwhile, the Yoshimasa Sugawara and Ahito Sakurai crew on their HINO500 Series truck Car 1 racing the Semi-Marathon―a classification for contestants who had to withdraw in the first week―were not able to reach the Stage 7 finish line even after sundown, and were officially declared retired from the Semi-Marathon on Tuesday, Jan 15. Car 1 will take on the role of assistance vehicle for the team's remaining journey to Lima. Thursday, Jan 17 is the last day of Dakar Rally 2019. After racing a short final SS in the outskirts of Pisco, contestants will head out on a liaison route to the finish line on the Lima coast. With ten days of competition on its homestretch, the team's mechanics carefully carried out their final inspection and servicing tasks. Night would fall while we were still in the dunes, so we took naps in the truck until daybreak to continue driving. It's too bad that we had to withdraw but there isn't much we can do about that. I intend to give it my best in the next event. 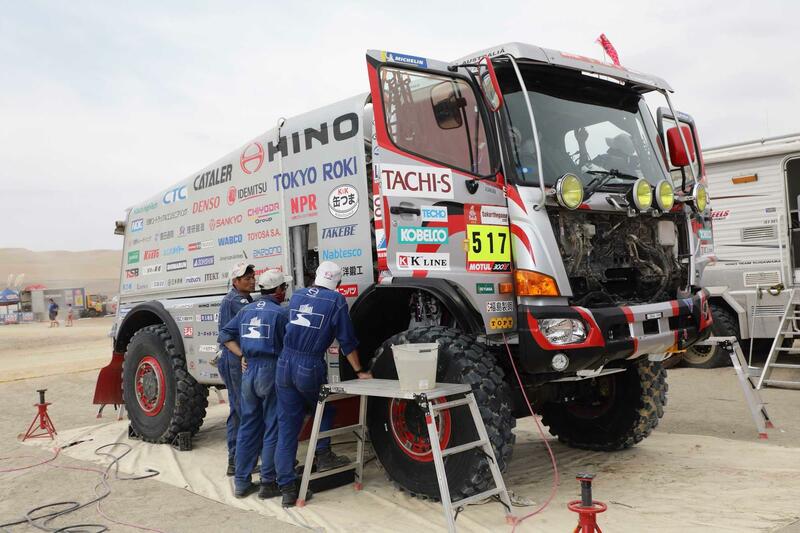 This was my first Dakar Rally, and I have to say that it was as interesting as it was intense. There were places where the dunes were higher than the clouds so I was just blown away by the scale of it. I would love to take on this challenge again given the opportunity. There were a few way points today that you couldn't locate until you got really close, and that cost us some time. I realized that the truck's suspension settings were not up to snuff when driving on some of the rougher roads. I think there's more work to do. 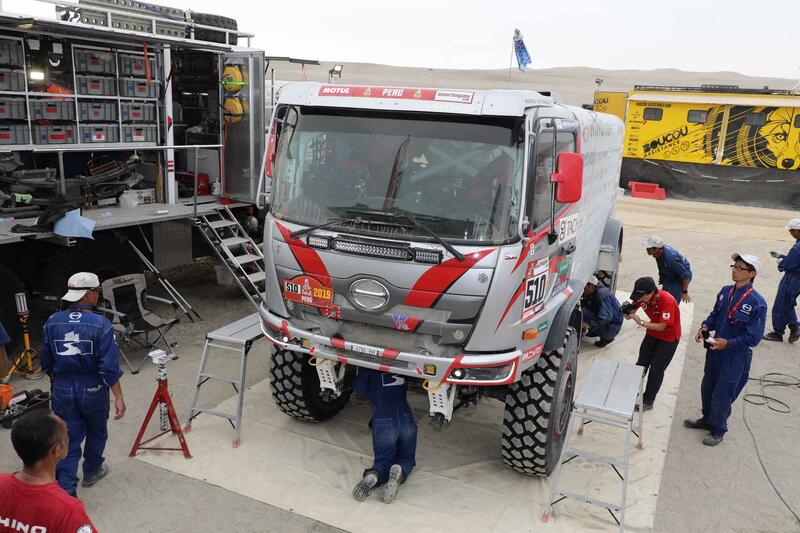 I think this was a tough Dakar Rally till the end, very difficult to navigate. But we got all the way points today. Tomorrow is the last day of the race. I will give it my best to make sure we make a solid finish.